A rusty old horseshoe sits on a gatepost at the entrance to our property. The morning frost coats both. 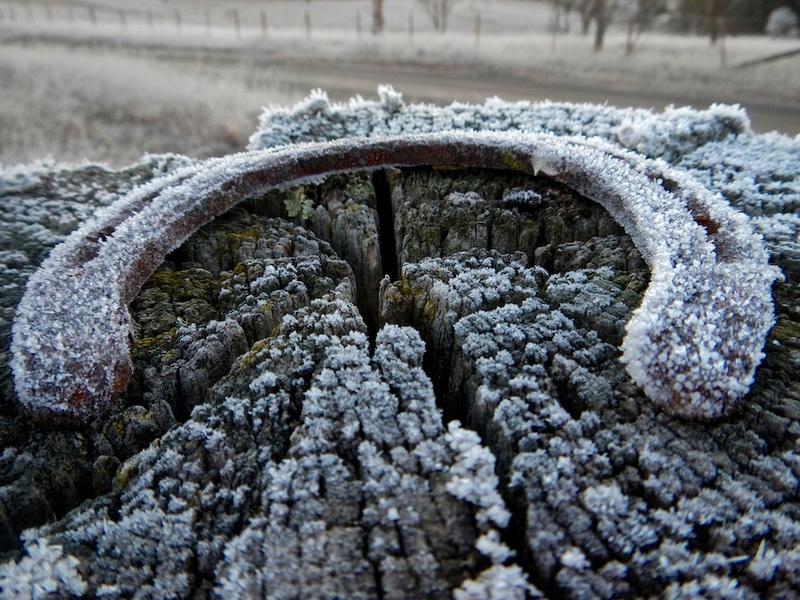 Frosty shots are always a joy … all the better to view when it’s warm outside.